Somewhat surprisingly, one of the most common misconceptions around carpets is that they do not need to be properly cleaned! Of course, most people vacuum their carpets quite regularly – probably not as much as is actually required – but maybe once a week. We are talking about proper steam cleaning. You wouldn’t ever neglect your bed linen, or not mop the floors, so why ignore the carpets? 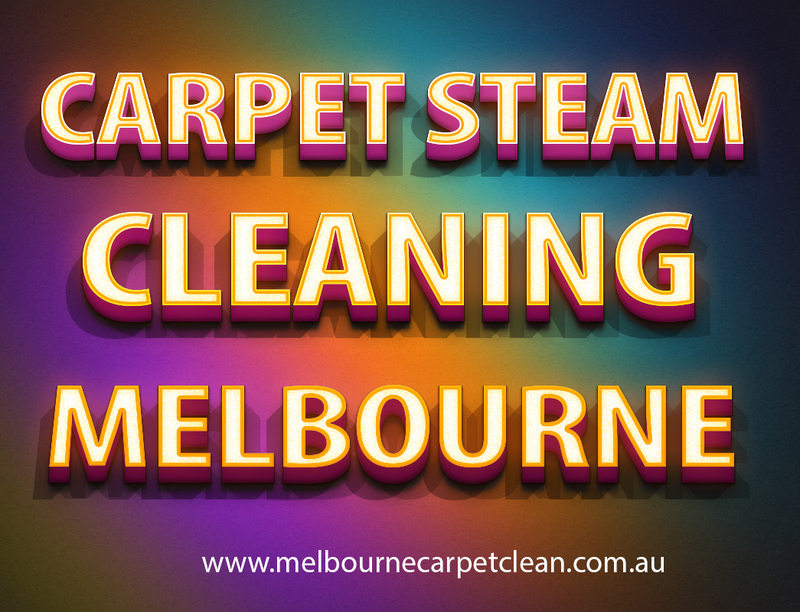 Carpet Steam Cleaning Melbourne attract all sorts of things, dirt and soil off shoes, dust mites, pollen and other allergens from outside, oils and fluids from spills, to name a few. These get trodden into the carpet and buried between the fibres, making it extremely difficult to vacuum up. If left in the carpets for too long, the fibres break down and start looking fuzzy. There is no way to rectify this once this happens, making it extremely important that you obtain professional steam cleaning, no matter how new or high quality your carpets are. One of the second mistakes that many home owners make is using a hired carpet cleaning machine. This equipment can cause damage to your carpets as it is not powerful enough to extract all the water and cleaning fluid, leaving behind wet carpets. The longer carpets are wet or damp, the more likely they are to grow mould and re-soil. By hiring a company to carry out your cleaning rather than hiring a machine, you can rest assured that the high-end equipment is the best to do the job. State of the art technology means that these machines are capable of extracting the fluids at extremely high pressures, ensuring your carpets are thoroughly cleaned and dried much quicker. It is important to remember that cleaning carpets carries a lot of responsibility and know-how, not only can hired machines leave your carpets behind in a bad way, if you choose the wrong solution you could also cause damage. Every carpet is made from something different, and using the wrong fluid is similar to if you put woolen clothes or delicates on the wrong wash. It might save you a few quid if you do cut corners on your carpet cleaning in the short term, but give it a few years and you might end up spending a small fortune on rectifying the damage and replacing carpets. High quality carpets are designed to last for many years, but they can only do this with the correct maintenance from a professional carpet cleaner. One of the worst mistakes you could make is thinking that professional steam cleaning is bad for your carpets. In fact, the reality is quite the opposite – steam cleaning is the only method that should be used on carpets. Other methods such as dry cleaning or bonnet cleaning only clean the surface of your carpet and can cause damage to the fibres. Steam cleaning is recommended by all Melbourne Carpet Cleaning manufacturers and industry bodies as the preferred cleaning method. It is also the only way to ensure that all dirt, oils, allergens and other contaminants are completely removed.